There’s no question that Florida is a popular retirement destination. And there are plenty of reasons that Naples is high on the list of great places to live. But there's more than meets the eye when it comes to Florida. 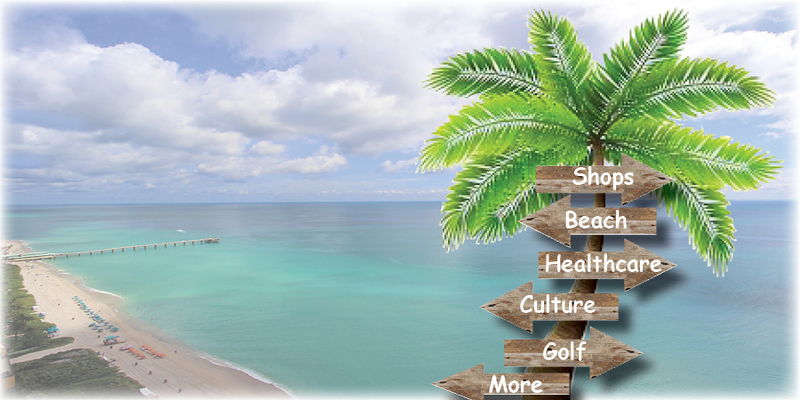 And retirement in Florida is about so much more than reclining on the beach! Let’s take a quick look at 5 factors to consider before retiring in Florida. According to Investodeia.com, Florida remains the most popular state in the country to retire to. It's also clear that (for many reasons) Naples is a great place to live if you’re headed to Florida. But even if you decide to make the Naples area your retirement residence, you’re not going to spend all of your time at home. You may not be working anymore, but you’ll still have plenty of things you want to do. With that in mind, let’s take a quick look at 7 things to live near when you retire in Naples. Just because you live in sunny and warm Naples (while friends and relatives are freezing in the North) doesn’t mean that you get out of holiday shopping. The good news is that there are a lot of places that make holiday shopping a little more fun around here. Here’s a look at where to go Christmas shopping in Naples, Florida. And here’s an additional bit of good news: You won’t have to scrape the windows on your car when you come out of the store! It’s really no big secret that one of the favorite pastimes for residents in the Naples area is golf. It’s also no surprise that golf.com ranks Florida as the #1 golf state in the United States. And as comic, Jerry Seinfeld once quipped. "My parents didn't want to move to Florida, but they turned 60 and that's the law!" As the temperatures around Naples drop just a bit for the fall, the activities heat up! Whether you’re interested in art, local history, live music, great food, or fun fund-raisers for great causes—Naples has you covered for the fall season. Here’s a look at some of the best 2018 fall events in Naples, Florida. By this time of year, many of us have witnessed the annual migration of the snowbirds as they head back north. Even year-round Naples residents like to get away every now and then. There are plenty of great places to get away to not far from here, but before you pull the suitcases out of storage and pack up, you’ll want to think about preparing your house for vacation as well. Let’s look at 5 essential things to do before going on vacation. There are a lot of good reasons to live in the Naples area (check out 8 reasons to live in Naples here). One big question a lot of homeowners have before they decide to live in Naples is, “How are the schools?" Because there are so many choices for schools within Naples (not to mention the surrounding communities) it can be tough to evaluate. In fact, there are almost 60 elementary schools alone within Naples! How can you choose which one is best for you and your children? Here’s a simple guide to Naples Schools to get you started.